This is a digital program--nothing is shopped to you. All the planning templates are online, ready for you to fill in, along with all video tutorials for your agents and you. If your business planning process is falling short (or failing to start at all! ), you’ll love the dozens of tips, planning pages, and agents’ instructional webinars included in this package. And, it’s all proven in the field. 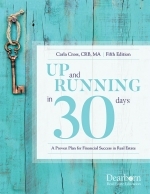 Carla Cross, author of the only internationally published book on business planning, and the CRB (Certified Real Estate Brokers’) course for managers on business planning integration, has put together a package to solve your major business planning hurdles. All the webinars are recorded, so you can access them at your convenience, and as many times as you wish. All the documents and bonuses are readily accessible at any time for you, too. The information will be available to you by November 20, so you have plenty of time to put your plans in place. All the template planning pages (for both you and your agents) are online, ready for you to save and complete online. In 2 informative and entertaining webinars, Carla teaches your agents how to write a great plan—and provides you the 8 most critical planning guides. Carla even makes suggestions on how you can facilitate these webinars, if you wish, and have your agents write much of their plans while in the webinars—easy, fast, and foolproof! In a fast-paced webinar, Carla shows you exactly how to involve your agents in the office planning process, to assure increased teamwork, cooperation, and understanding of your goals. She shows you how to integrate the agents’ plans with your own plan to make a realistic plan. 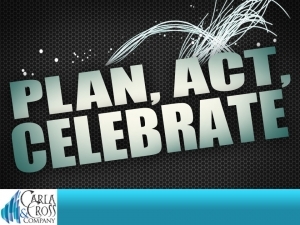 Get every agent to create a business plan. Inspire, teamify, and motivate your agents. 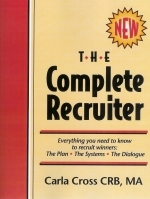 Gain your own office plan to recruit, retain—and profit more. To anyone who might read this, Carla’s systems work, Period. If anyone wants to save time and get their real estate business functioning and profitable, you must employ Carla and her real estate business systems. They work. Your material INSPIRES me and MOTIVATES me and gives me an energy boost as a manager (unfortunately, being at the top doesn’t give many strokes and we spend most of our energy giving our agents that attention…you are giving me that.). Many thanks to you – GREAT JOB, CARLA!!! 14 major business planning templates and documents to use for your agents’ plans are included in this package, too. This webinar shows you how you can assure each of your agents actually writes a good business plan. This webinar walks you step by step through your strategic planning process, so you create an office plan to address your greatest challenges. 15 major busines planning templates documents to make your office plan are included in this package, too.